I’ve been wanting for awhile to add an extra page to my blog extolling the virtues of India’s signs. And I finally have. So I’ve made a page (click here to go) and I’ll keep adding more photos as I see them. But for today: thank you advertisers of India, you keep me constantly amused. There’s a whole slew of signs like this one. In America you’d have luxury brands with taglines like “Now everyone can have this item.” Here it’s always “You can have this if you’re incredibly elite. 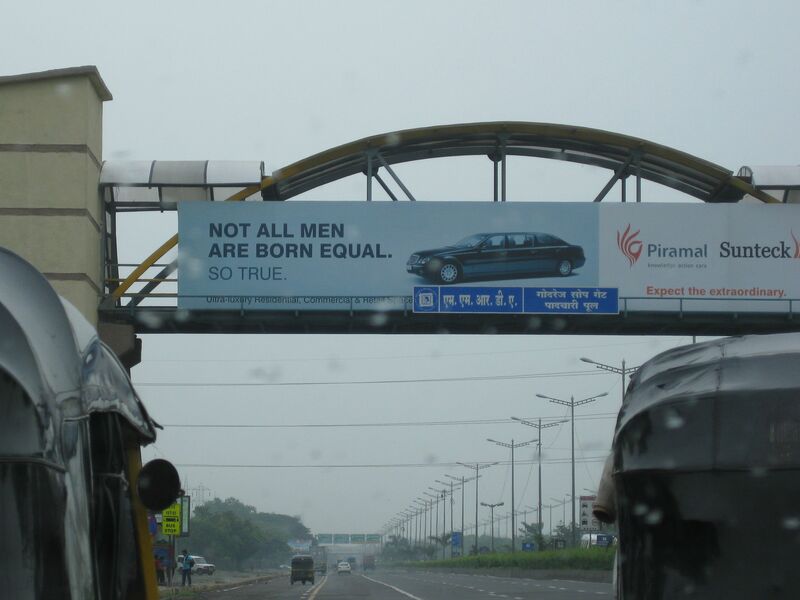 Nothing reminds you of the caste system like a sign that extols the extremely un-American value of all men NOT being born equal (and then making sure that the point has been made by adding “So True”). Why would God not approve? Why must we invoke God into our littering campaigns? I love the mangled English and the implication that a ‘fresh’ graduate is akin to a lemon or lime. The real question is: when do we go rotten? This is one that’s funny because its so Mumbai and so unintentional. The Mumbai bus service is called ‘BEST’ (whatever that stands for. Like MTA in New York). But, of course, anyone without that know-how would assume this sign just means that you’re about to get on the very best bus in a very special lane. It made me laugh when I first saw it and even after it was explained to me, I still like the idea that no one seems to have caught on to the joke.